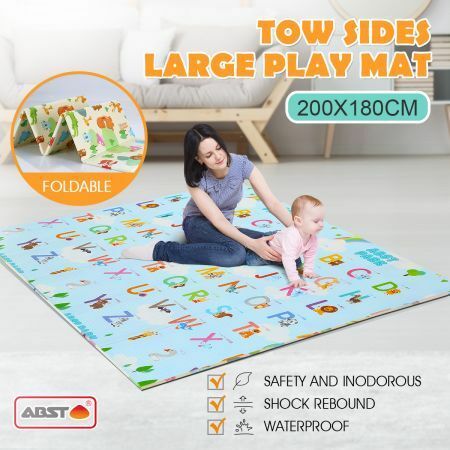 When your kid reaches the crawl time, offering him this safe & comfortable baby floor mat and let him start to explore the world on his own. Made of XPE material, odourless and non-toxic, the activity mat is environmental protection. Coming with 10mm thickness and anti-slip texture, it protects kids from a slide. The waterproof surface also makes it easy to clean with a soft damp cloth. 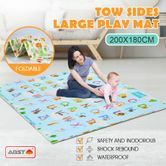 Equipped with a storage bag, the foldable mat provides more convenience for taking the padded play mat for a picnic, camping or other family trips. Please noted: the side of alphabet also has small animal pictures and their English name and also chinese name.